Shah Jahan (Shahab-ud-din Muhammad Khurram) was one of the most successful emperors of the Mughal Empire. 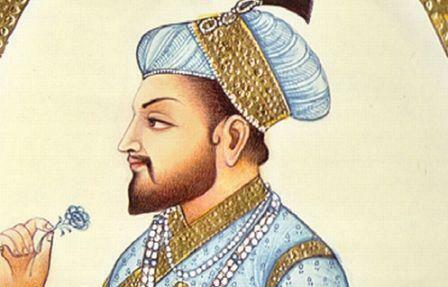 He was the fifth Mughal ruler after Babur, Humayun, Akbar and Jahangir. After winning the war of succession post the demise of his father Jahangir, Shah Jahan successfully ruled the empire for 30 years. During his reign, the Mughal Empire thrived, making his reign the golden era of the empire. Though Shah Jahan was an able administrator and commander, he is best known for the construction of the Taj Mahal, which he built in the memory of his beloved wife, Mumtaz Mahal. Architecture in general saw the best of Mughal construction during his time. He is credited with constructing many beautiful monuments throughout the landscape of North India. Shah Jahan is also the founder of Shahjahanabad in Delhi. The exquisite ‘Peacock Throne’, which he got built for himself, is believed to be worth millions of dollars by modern estimates. During his final days, he was held captive by his son Aurangzeb, who went on to succeed him to the throne. As per the prediction of the fortune teller, Shah Jahan was born on 5thJanuary 1592, to Emperor Jahangir and his second wife, Jagat Gosaini (a Rajput princess). After naming him Khurram (the joyous one), his grandfather, Emperor Akbar took him away from his mother and handed him over to his Empress Ruqaiya Sultan Begum. Khurram, who was just six days old, started growing up under the care of Akbar and Ruqaiya Sultan Begum. In 1607, the 15-year-old Khurram got engaged to Arjumand Banu Begum (Mumtaz Mahal). However, the court astrologers had predicted that the couple should not marry until 1612, for their marriage wouldn’t be pleasant otherwise. Paying heed to the astrologers, Khurram’s parents and well-wishers decided to put off his wedding with Mumtaz until 1612, making the couple wait for another five years. The accession to the throne in the Mughal Empire was determined through military successes and display of power by potential successors. The Mughal had stayed away from the traditional primogeniture method of choosing the rightful heir and that made Khurram a potential successor to Jahangir, even though he was the third child of the emperor. In 1614, Khurram got an opportunity to display his military prowess, something he was so desperately waiting for.The moment he was waiting to seize came in the form of Maharana Amar Singh II, who was asked to surrender his Rajput state to the Mughal. Khurram led an army of more than 200,000 men and defeated the forces of the Rajput king. This brave act of his, paved the way for moresuch opportunities. Three years later in 1617, he was asked to conquer the Deccan Plateau in order to expand the empire. After his success in doing so, his father Jahangir bestowed upon him the title Shah Jahan, which literally meant King of the World in Persian. This made him the blue-eyed boy of the empire and his dream of succeeding his father strode a step closer to reality. Though Shah Jahan had proved his abilities and prowess more than once, the fight for the throne was harder than he thought it would be. Jahangir married Nur Jahan and she along with her brother Asaf Khan, became important members in the court. Also, Nur Jahan got her daughter (from first marriage) married to Shahzada Shahryar, Shah Jahan’s younger brother. She then continued to convince the emperor that Shahzada Shahryar was better than Shah Jahan and that he should be the one to succeed him. This led a rebellious Shah Jahan to build his own army with the help of a Mughal general named Mahabat Khan. He then led his army against his own father and Nur Jahan but was defeated comprehensively in the year 1623. Three years later, he was forgiven by the emperor but Shah Jahan continued to find ways which would lead him to the throne. In 1627, upon the demise of Jahangir, Shah Jahan crowned himself emperor as the entire military was under his control. As soon as he became the emperor, Shah Jahan eliminated all his foes just to make sure the throne had no further contenders. He killed many in the year 1628 including his brother Shahzada Shahryar; his cousins, Tahmuras and Hoshang; his nephews, Garshasp and Dawar, and sons of prince Daniyal and prince Khusrau. Anyone he thought would be a threat to his throne was put to rest permanently. His step-mother Nur Jahan was spared but was imprisoned under tight security. Throughout his reign, Shah Jahan constantly strived towards expanding his empire. This gave rise to many battles and some alliances. While he joined hands with some of the Rajput kings of Bundelkhand, Baglana and Mewar, he waged war on the others like the Bundela Rajputs. In 1632, he captured the fortress at Daulatabad and imprisoned Husain Shah. He appointed his son Aurangzeb as his Viceroy who in turn captured places like Golconda and Bijapur of South India. He then went on to capture Kandahar, which led to the famous Mughal–Safavid War. His empire now stretched beyond Khyber Pass and all the way to Ghazna. Shah Jahan invested most of his time in building a massive army. It is said that his army included more than 911,400 soldiers and 185,000 horsemen. He was also responsible in manufacturing cannonsin huge numbers. During his 30 year reign, Shah Jahan transformedhis empire into a well-oiled military machine. One of the most significant incidents in the life of Mughal Emperor Shah Jahan was the construction of Taj Mahal. His beloved wife Mumtaz Mahal died while giving birth to their fourteenth child and the reason behind her death was stated to be postpartum haemorrhage. This left Shah Jahan devastated who then decided to build the world's most beautiful monument in the memory of his wife. After many years of planning, hard work and immense sacrifices, the monument, which came to be known as the Taj Mahal was built.Today people from different parts of the world travel to India just to see this amazing white colored edifice which is also one of the most visited tourist destinations of India. Taj Mahal continues to beone of the Seven Wonders of the World! In September 1657, Shah Jahan fell seriously ill, which set off a war of succession among his four sons, in which his third son Aurangzeb, emerged victorious.Shah Jahan recovered from his illness, but Aurangzeb put his father under house arrest in Agra Fortfrom July 1658 until his death in January 1666.In the end, Sayyid Muhammad Qanauji and Kazi Qurban moved the body of Shah Jahan out of the prison, washed it and placed it in a coffin made out of sandalwood. The coffin was then brought to the Taj Mahal through the river, where he was laid to rest, next to his beloved wife, Mumtaz.